Baritone awareness week is a tradition that was started by the Penn State Blue Band baritone section a few years ago. This year the tradition is being carried on by the WVU Mountaineers Marching Band. Not only do they bring awareness to their section, as part of the tradition they also raise money for a middle school band. This years lucky recipient is the Summersville Middle School music program. This is a week where we celebrate the glory that is the baritone! Each day will be a different baritone specific holiday and we'll spread jollity throughout the land. We are NOT fat trumpets, flugelbones, tubas on a diet, or any other common misconception. Invite your fellow baripeople and help us spread awareness! 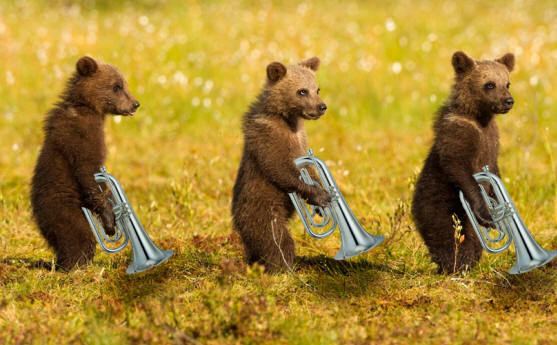 The few, the proud, the BARITONES. We ask that everyone who views this page make a donation at the link below to the Summersville Middle School music program. Their school was hit hard by the flooding earlier this summer in West Virginia and while the school itself has been receiving some funding, the music program is likely to be last on the list to receive much financial help. Even a donation as small as a $1 or $0.50 will help out so please contribute and help out our fellow musicians! If you would like to contribute to the middle school music program, you can visit their go fund me page.